NEW YORK, Feb. 12, 2019 /PRNewswire/ -- The growth of the Treponema Pallidum Tests Market can be attributed to increasing prevalence of syphilis across the globe. According to the latest research by the company, the global Treponema Pallidum Tests Market is expected to account for over US$ 225 Mn, in terms of value, by 2026 end. The Treponema Pallidum Tests market is expected to witness significant growth with its CAGR pegged at 5.7% through 2026. Various screening and confirmatory Treponema Pallidum Tests with different accessibility and affordability are available in the Treponema Pallidum Tests market. Diagnosis of syphilis requires the results of two types of serologic treponema pallidum tests: non-treponemal and treponemal. 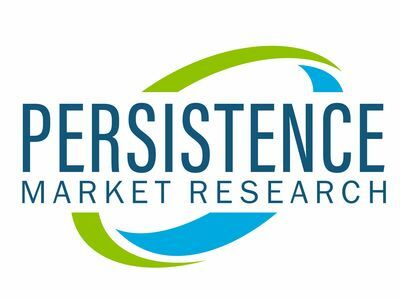 Revenue from the Europe Treponema Pallidum Tests market is expected to expand at a significant CAGR and Europe is estimated to remain a dominant regional market in the Treponema Pallidum Tests market during the forecast period. This is majorly due to the rising incidences of syphilis in the region and this is expected to positively impact the growth of the Treponema Pallidum Tests market during the forecast period. The information presented in this review is based on a PMR report, titled "Treponema Pallidum Tests Market Segmentation By Test Type - treponemal test and non-treponemal tests; Service Provider - hospitals, specialty clinics, ambulatory surgical centers, diagnostic laboratories and academic & research institutes - Global Industry Analysis, Size, Share, Growth, Trends, and Forecast 2018 - 2026."